Being in charge of planning an event is a responsibility that you cannot take lightly. Every detail counts, no matter how small or big it may be. With so many things to think about, you need all the help you can get to lighten the load. Fortunately, an event planning software can do the trick. RainFocus combines experiential data and connects it with meaningful returns on investment (ROI). 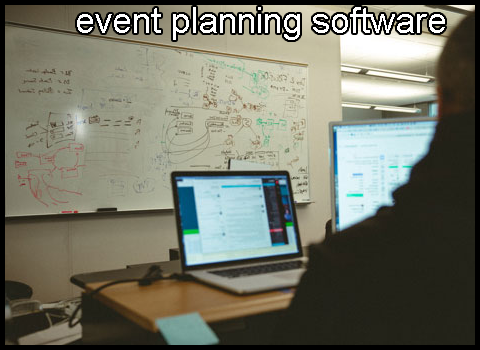 Through our event planning software, we can make the lives of event organizers and planners easier. Make the most out of any event with the help of our event planning software! A lot of information and documents are involved when you are planning an event. Getting them mixed up could prove disastrous. If you have an event planning software on your side, then this will never be a problem for you. With the help of an event planning software, you can always keep important files and messages filtered. It is time-consuming to sift through tons of data when you are looking for specific information. With an event planning software, you have immediate access to the files or details you need when you want them. You can keep yourself informed on the latest changes and updates about the event, allowing you to act quickly and accordingly. Our event planning software also helps lessen any possible errors in collected data. Every second counts when you are planning an event. Instead of delegating someone to do particular tasks, just let our event planning software do all the work. By taking advantage of this technology, you give yourself the chance to focus on other important things. With our event planning software, you can spare yourself from dealing with mundane tasks and work more efficiently. Employing temporary staff to do simple jobs will only increase your company’s expenses for a single event. When you have an event planning software, staffing costs will be the least of your worries. Our event planning software can accomplish basic tasks with minimal chance of errors. “So much to do, so little time” is a phrase that many event planners can relate to. With all the work on your plate, you might end up delaying certain tasks or making a mistake. You need to make use of any tool you can get in order to accomplish all your tasks on time. Lighten your load by getting an event planning software. When you let our event planning software handle all the simple tasks for you, you can focus on more challenging matters. As the event planner, you must always keep the important figures behind the event, as well as possible attendees, updated on any changes and announcements. Additionally, you must have the latest information coming from their end. With our event planning software, you can ensure a smooth two-way communication between you and the people relevant to your event. Experience the Difference Than an Event Planning Software Can Make! Do you have a big event coming up? RainFocus can be the platform you need to simplify tasks and make your event a success. With our event planning software, you won’t have to feel overwhelmed during the big day. If you would like to learn more about our event planning software, contact us today! Are you planning to set up an event? RainFocus offers a platform, tools, and features that planners can utilize to streamline and make the most out of their event. Feel free to call or email us to schedule a demo. You may also visit our website to learn more about our company and our platform. If you have an event issue, we have the solution. We can help you manage your next event with our event planning software.